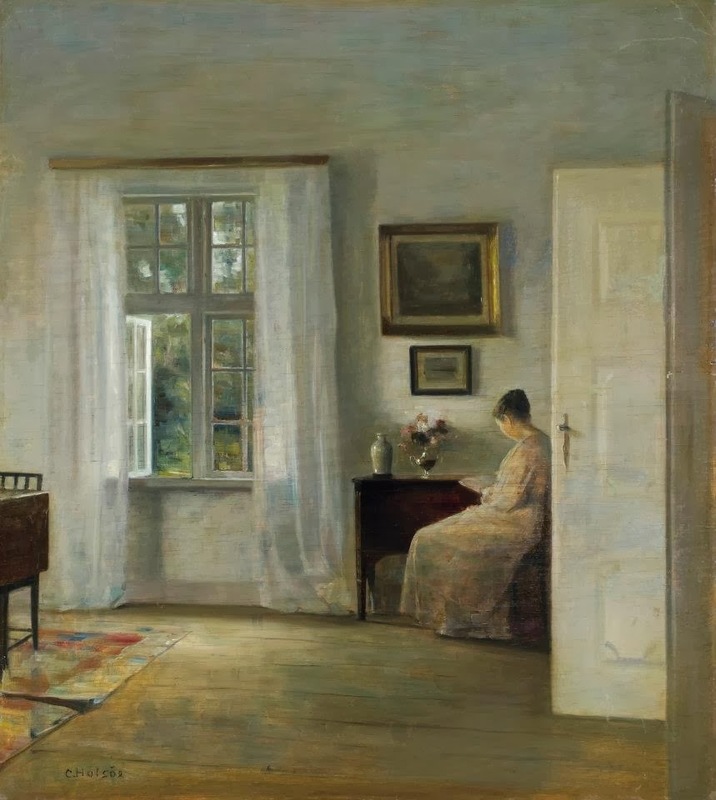 Carl Vilhelm Holsøe (1863-1935) is a very much respected artist of the Danish school. 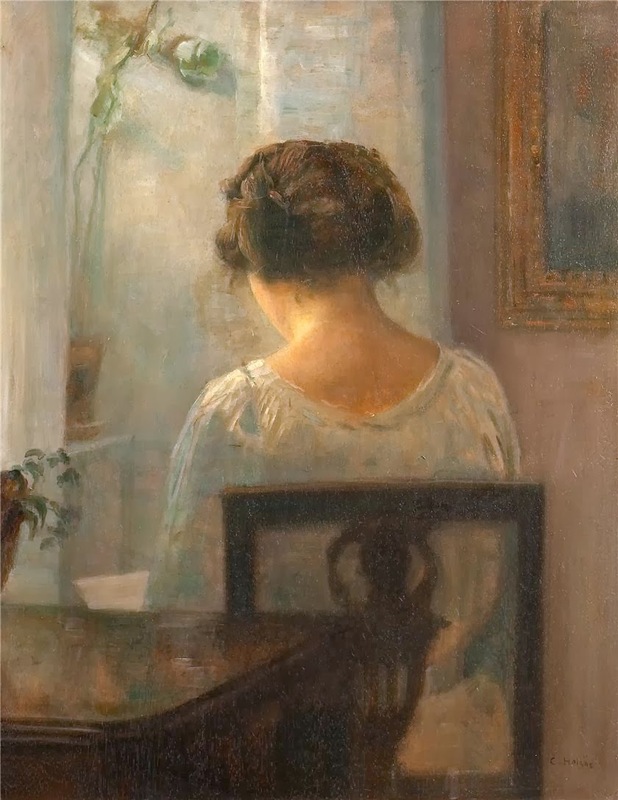 Holsøe became a well-listed, highly acclaimed artist. 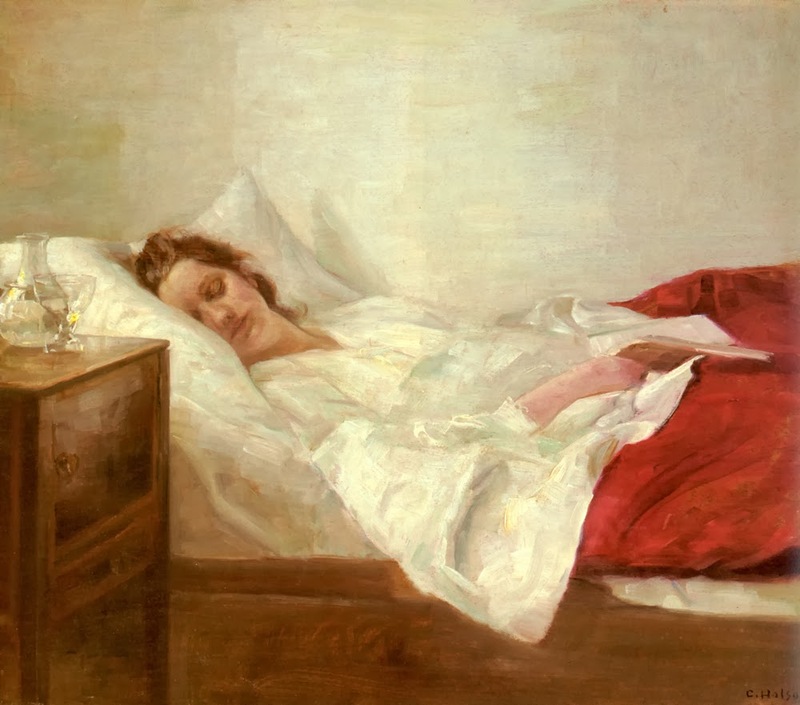 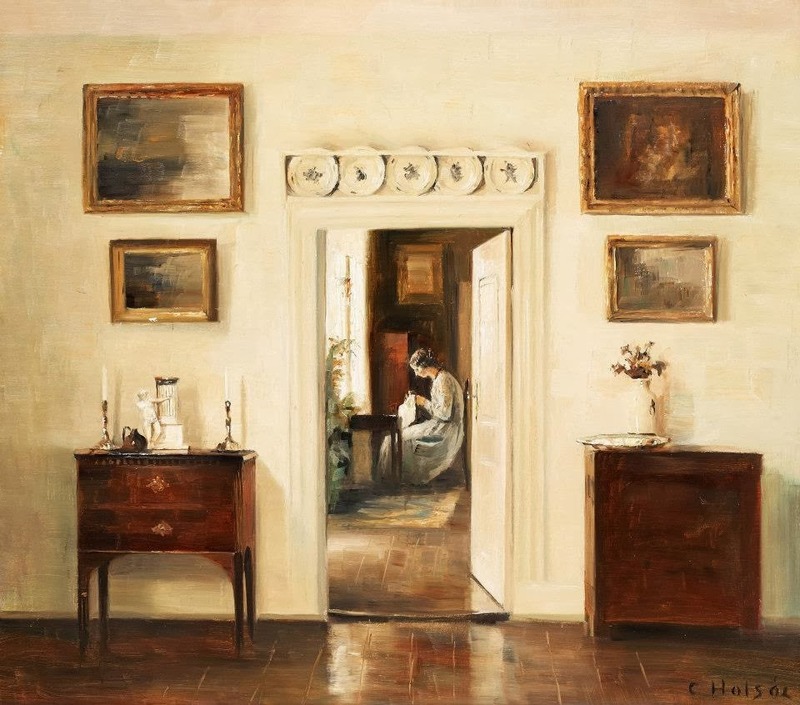 Escaping from the sentimentality of Golden Age interiors, Holsoe and his contemporaries imbued this traditional genre with a sense of timeless sanctity. 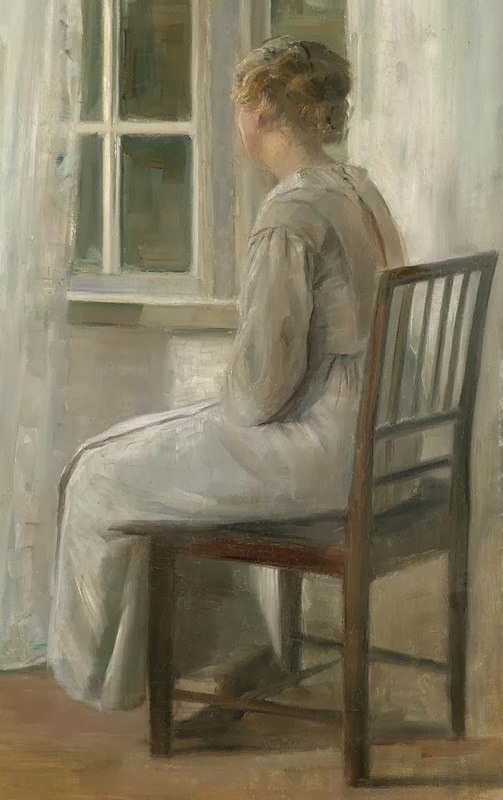 Through the depiction of solitary, usually female, figures with concealed identities, Holsoe's paintings evoke the brooding nature of introspection and self-absorption. 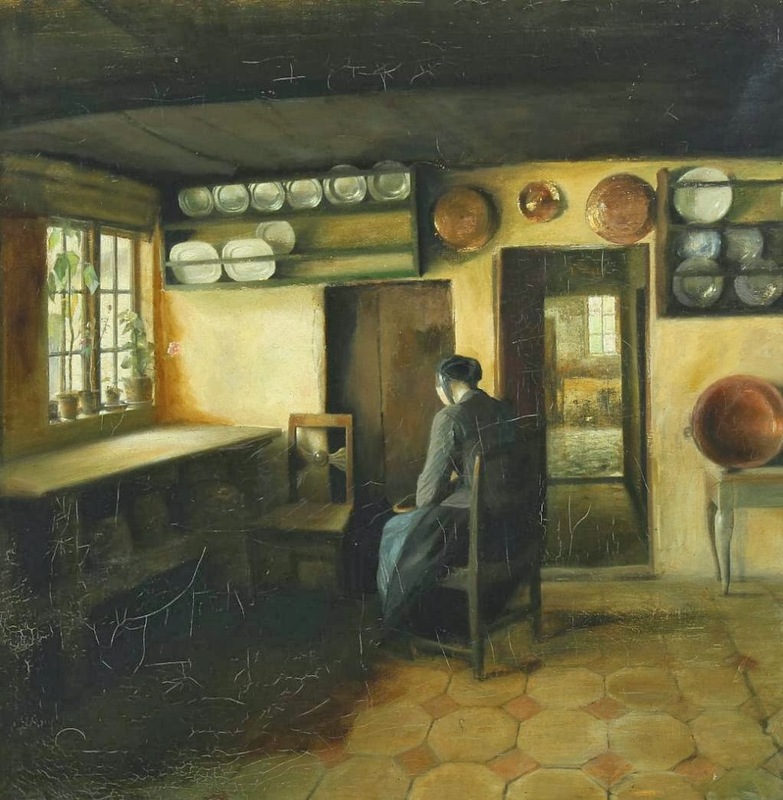 His work, influenced by the 17th Century interiors of the Dutch masters Vermeer, de Hooch and ter Borch, explored the emotional content inherent in the household interior. 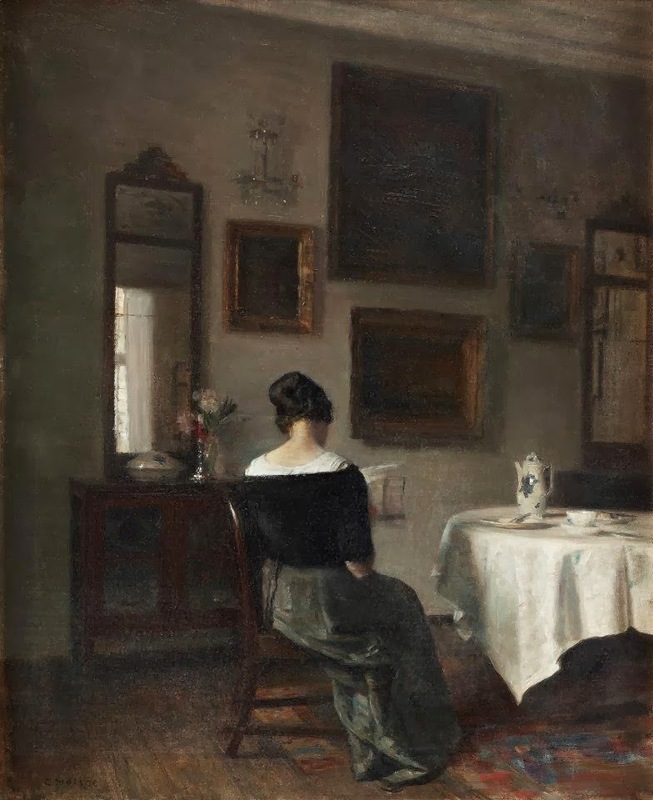 Holsoe trained at the Royal Academy of Copenhagen with Vilhelm Hammershoi, a very close friend and mentor, from 1882-1884. 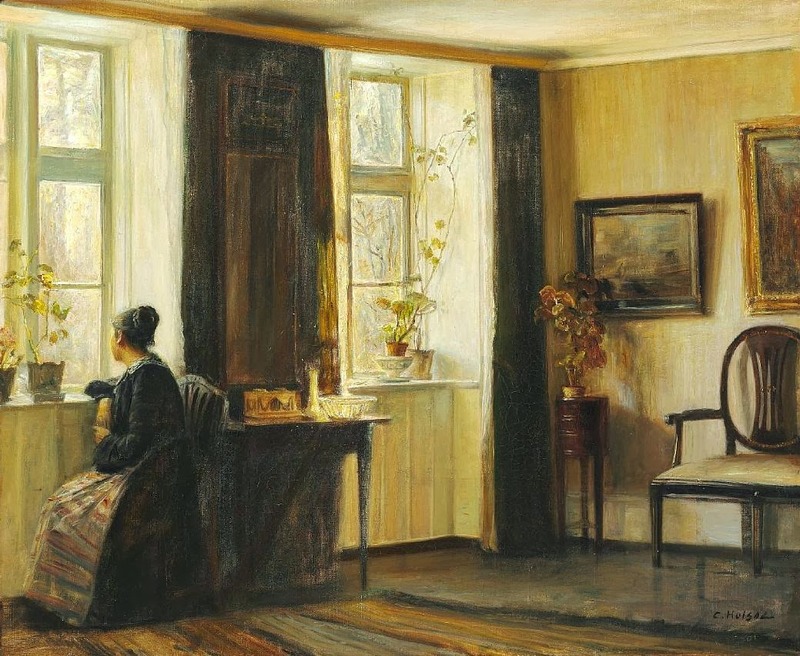 Holsoe continued his instruction at the Peder Severin Kroyer's Artists' Study School. 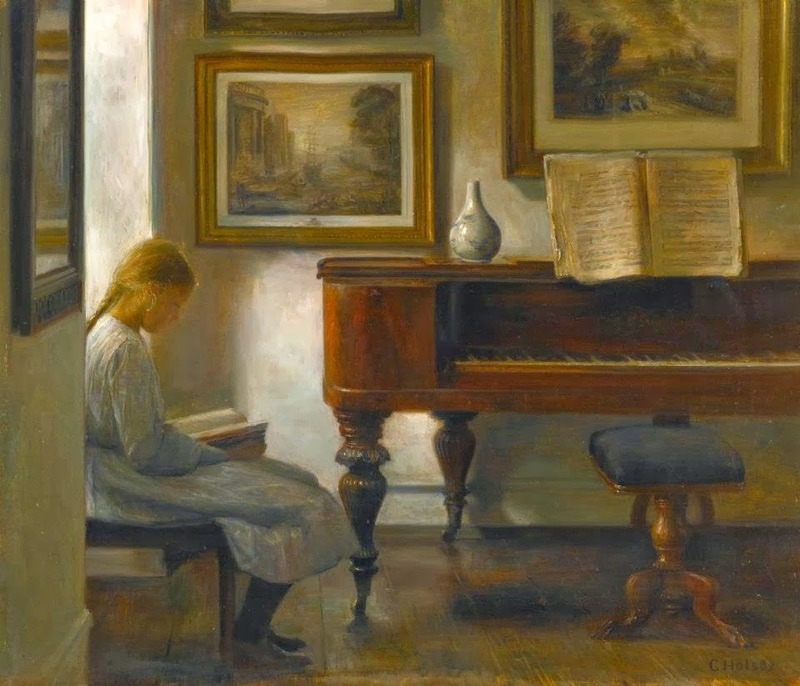 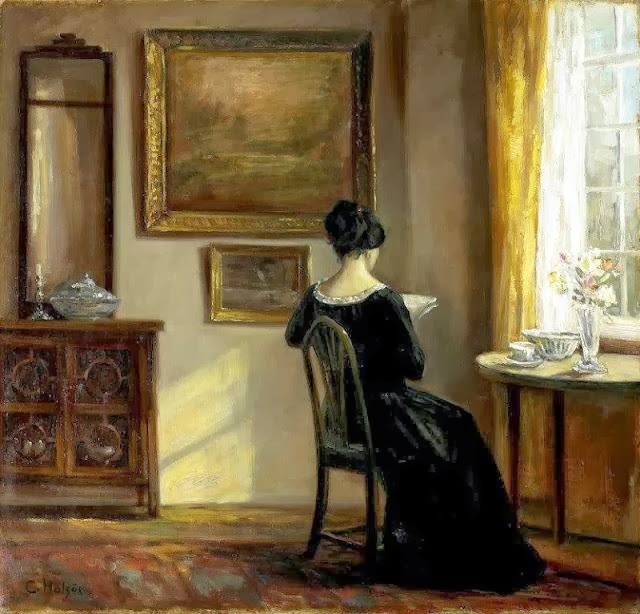 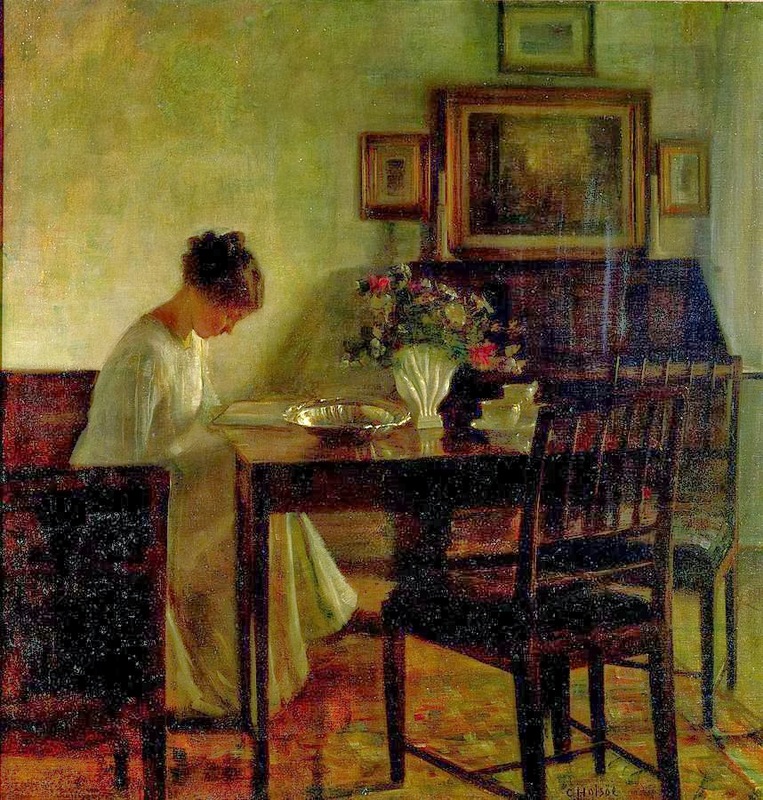 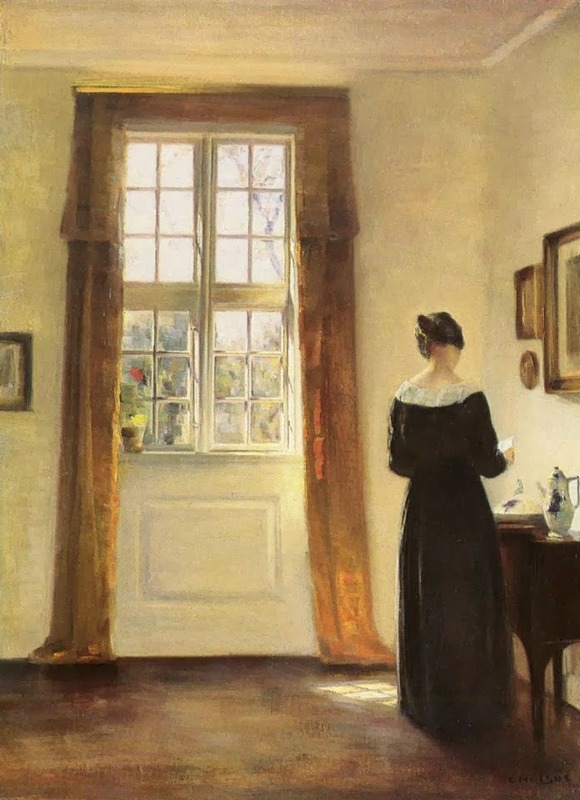 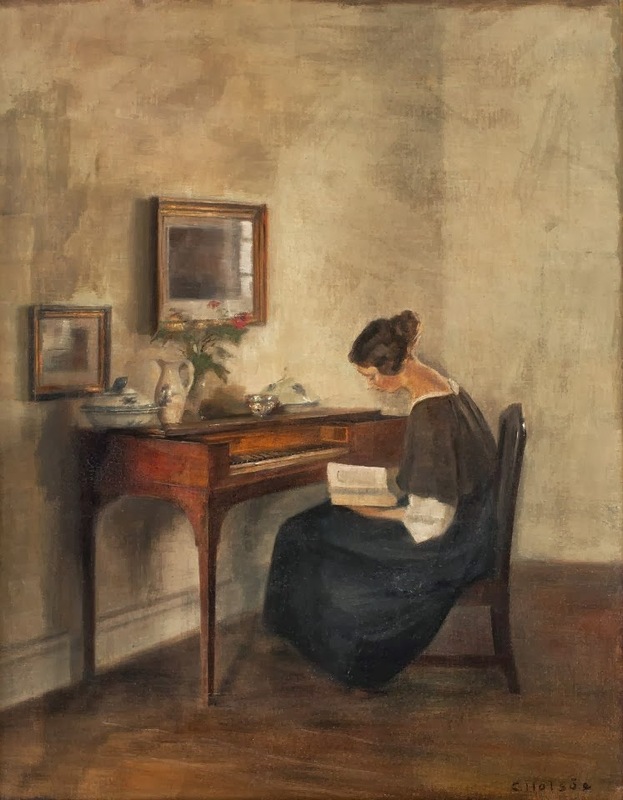 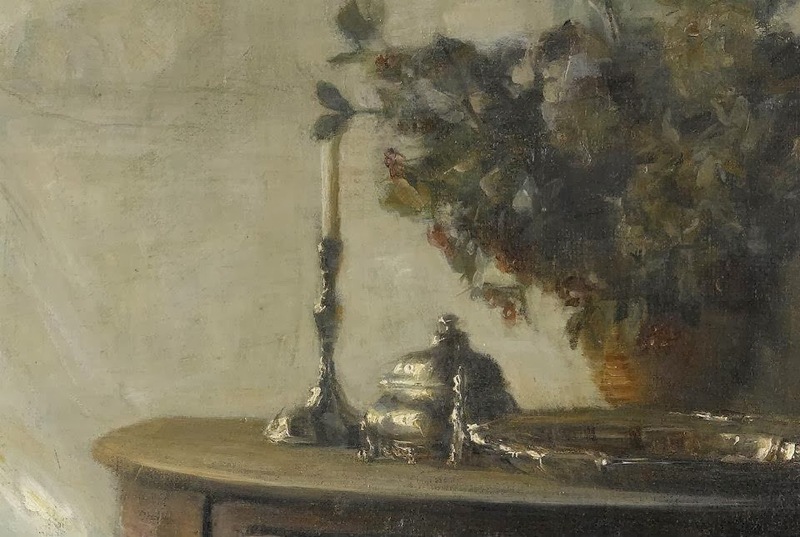 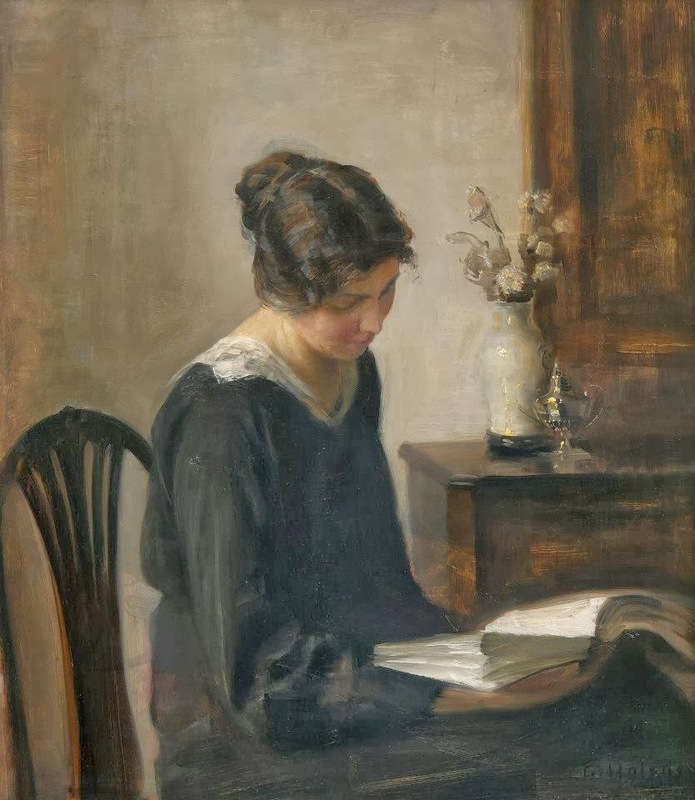 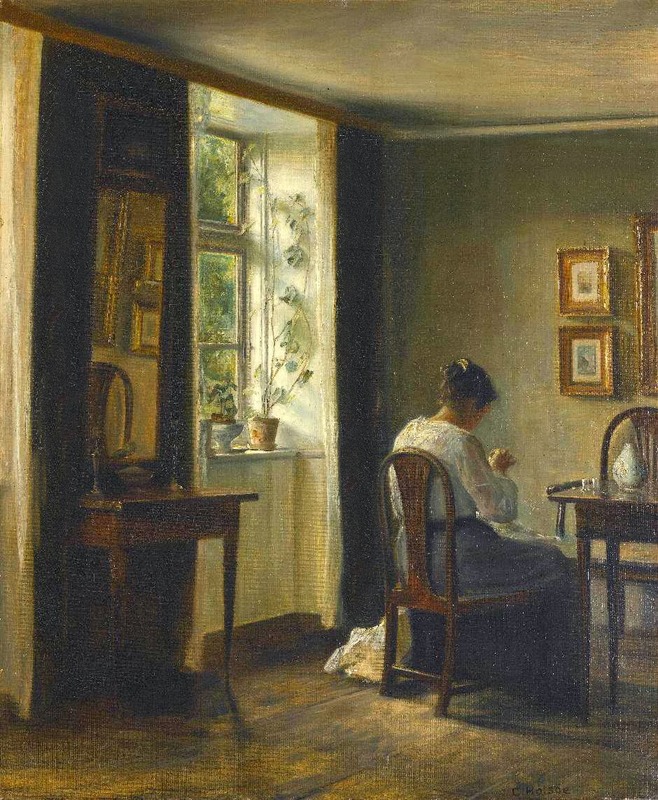 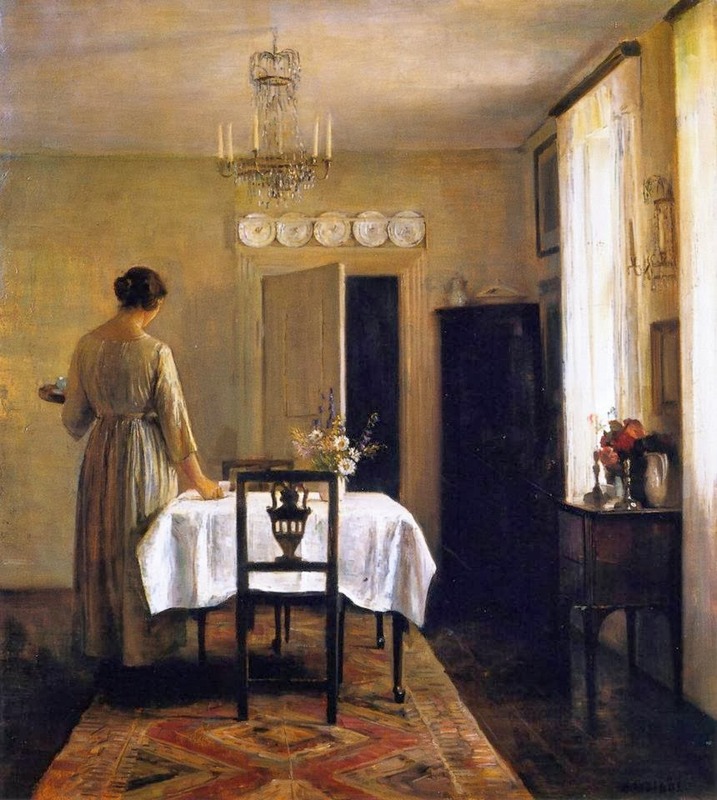 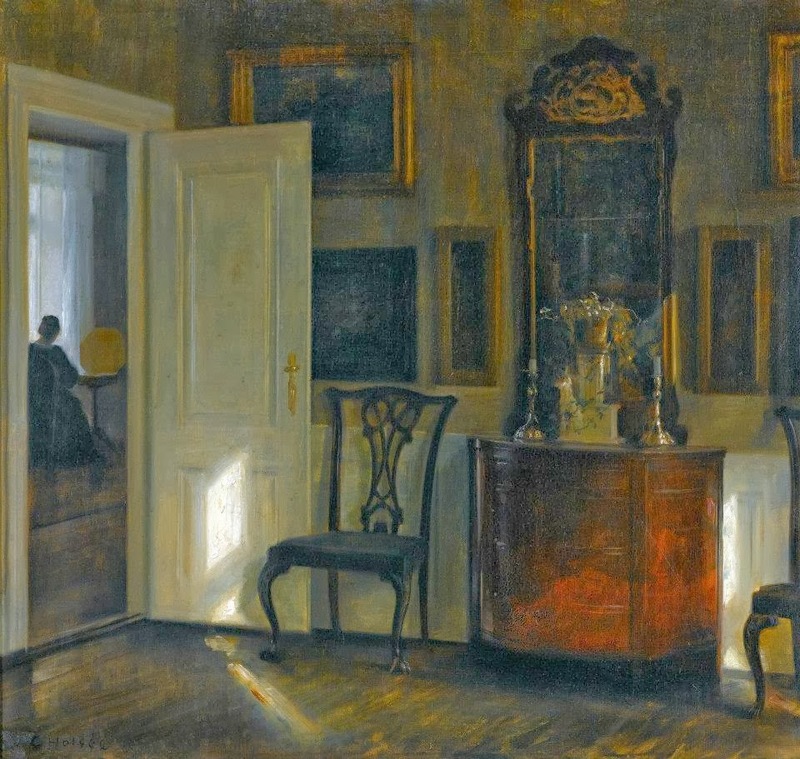 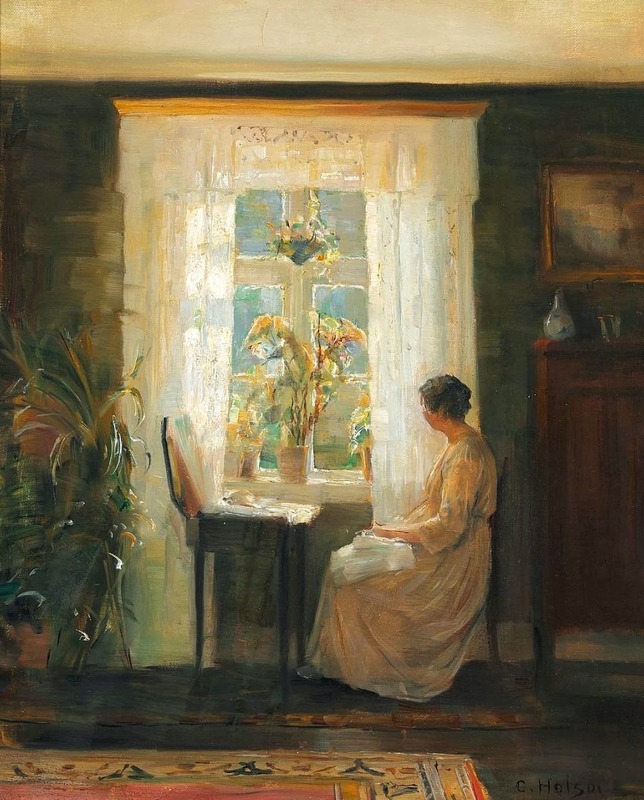 Holsoe, Hammershoi and Peder Ilsted (1861-1933) shared an increasing interest in the study of light and shade and of their effects on surfaces and objects in an interior. 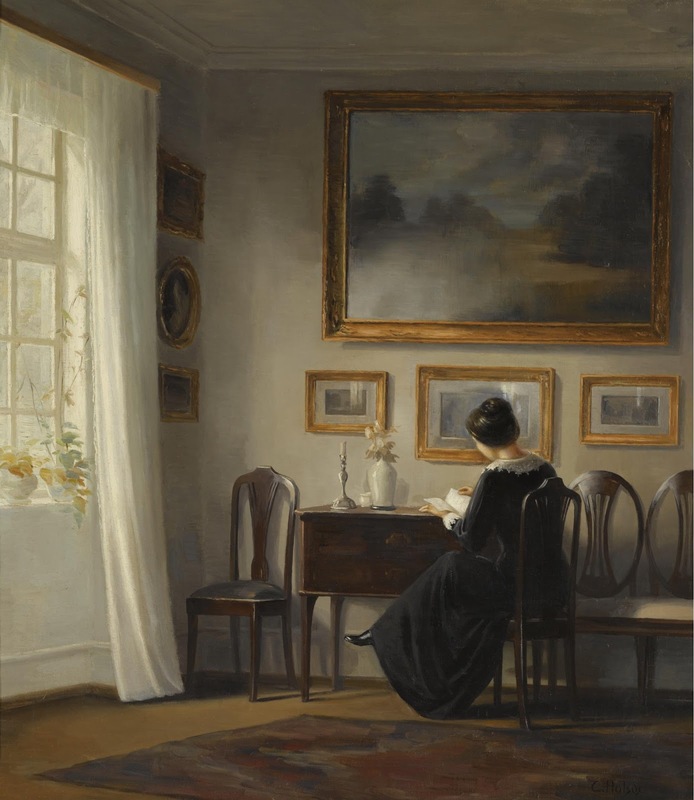 Together, the artists later formed the Danish School of Interior painting. 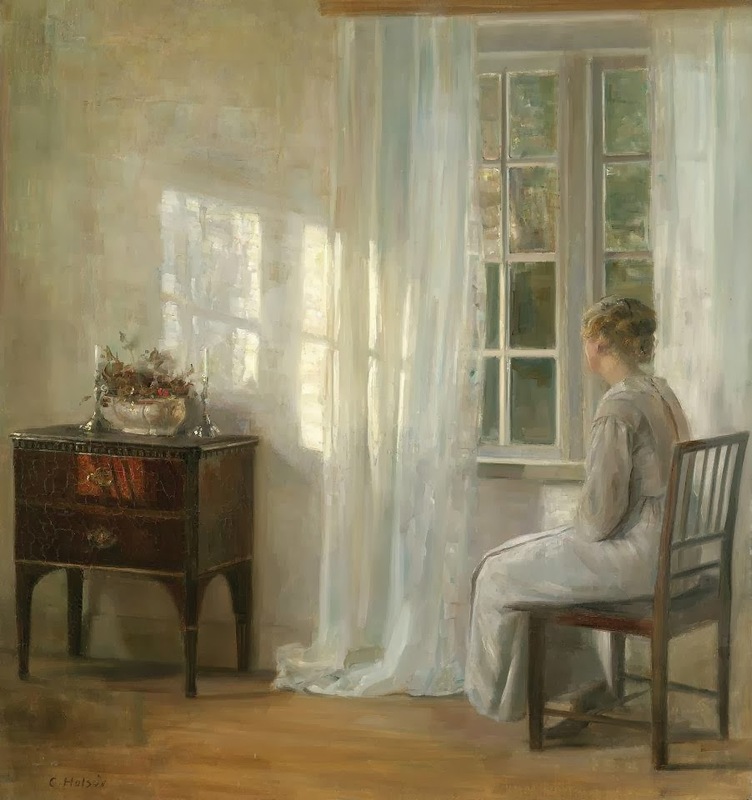 Beginning in 1888, Holsoe received several grants from the Academy and was able to exhibit his work in Denmark as well as abroad. 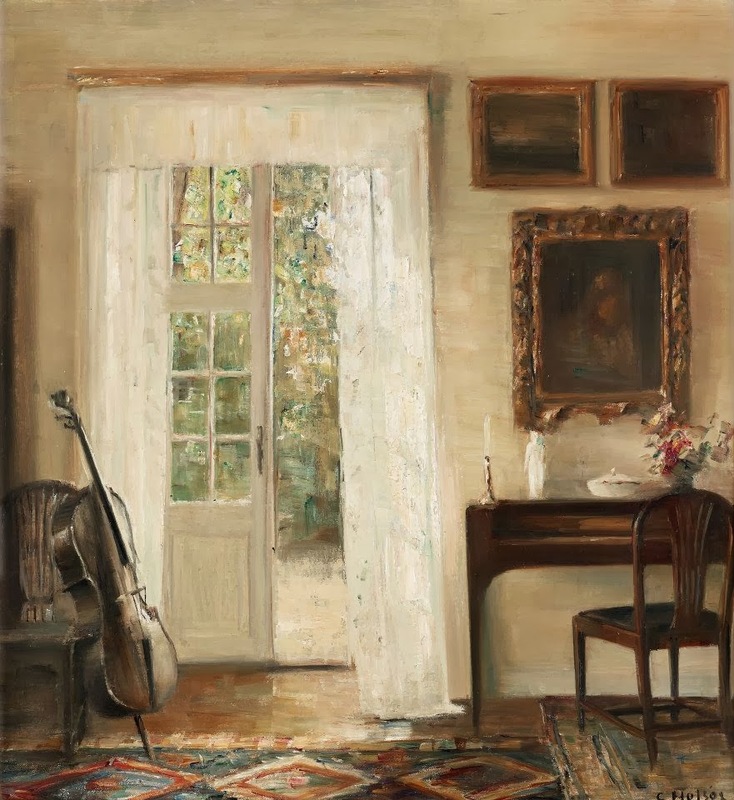 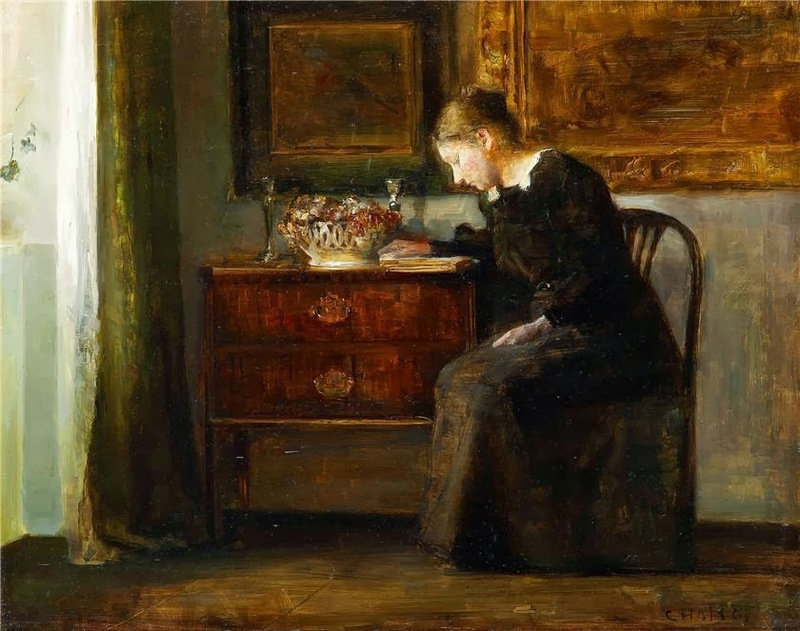 In 1889, Holsoe received an honorable mention at an exhibition at the Exposition Universelle de Paris; two years later the artist was awarded a medal in Munich, where he exhibited on a regular basis until 1918. 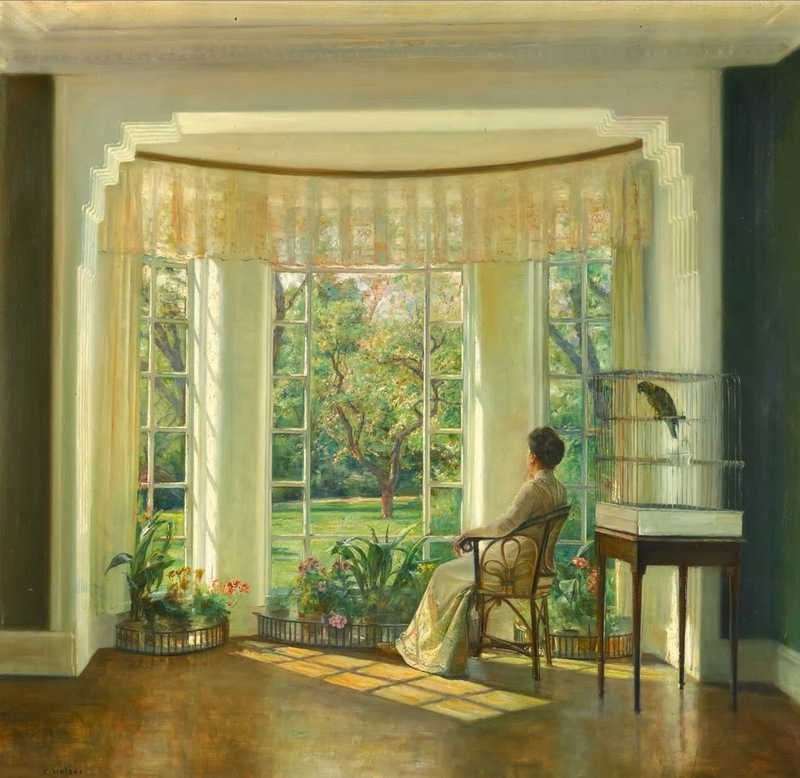 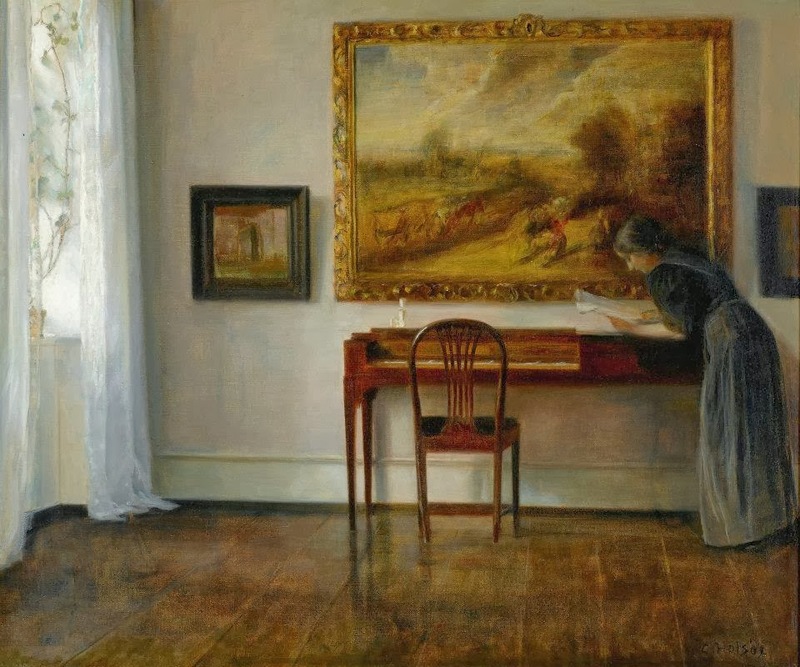 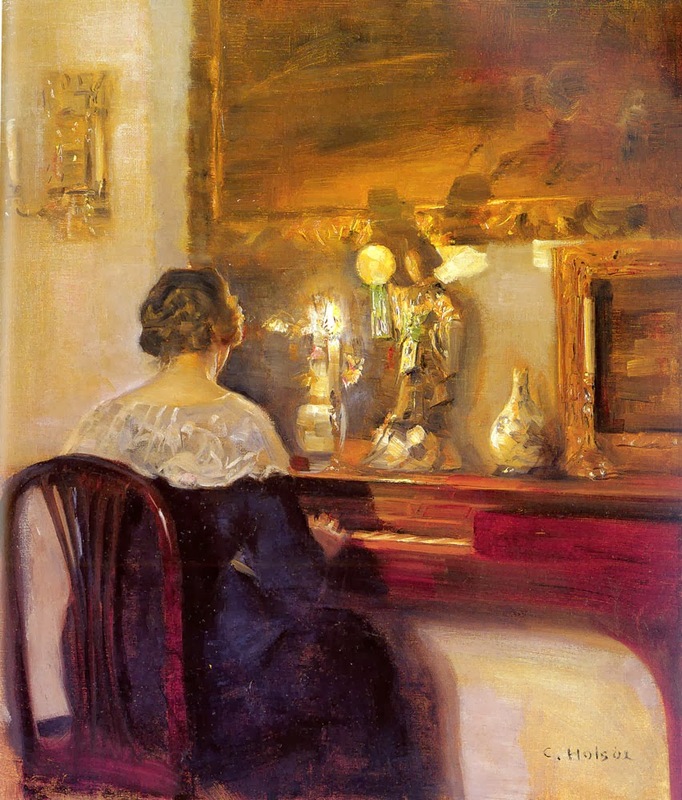 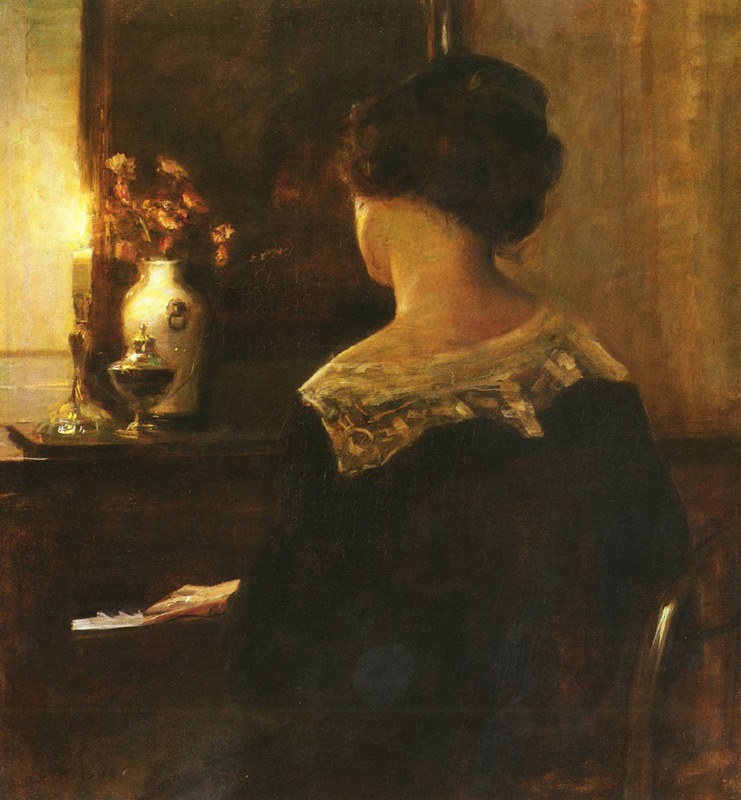 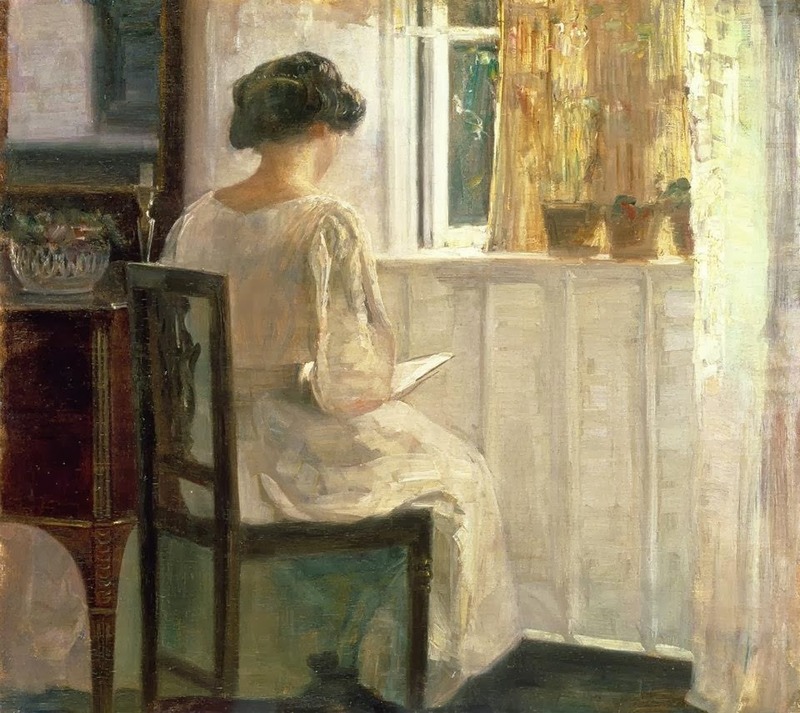 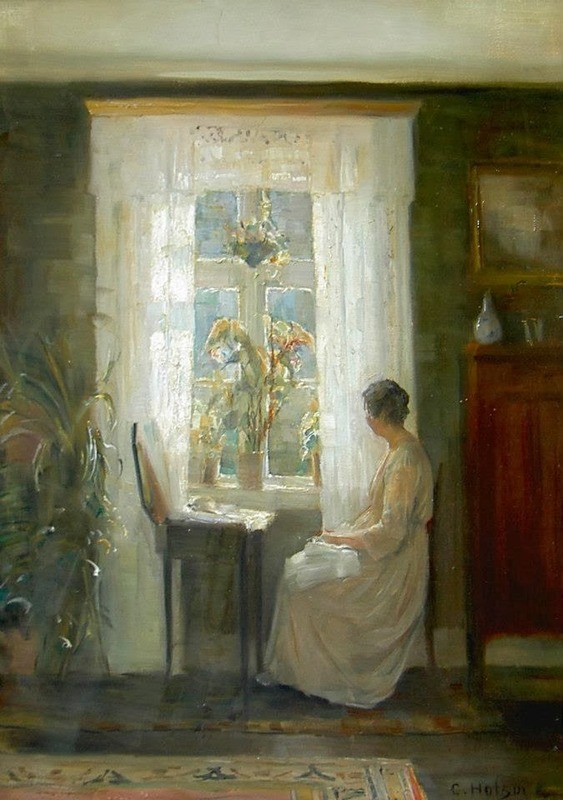 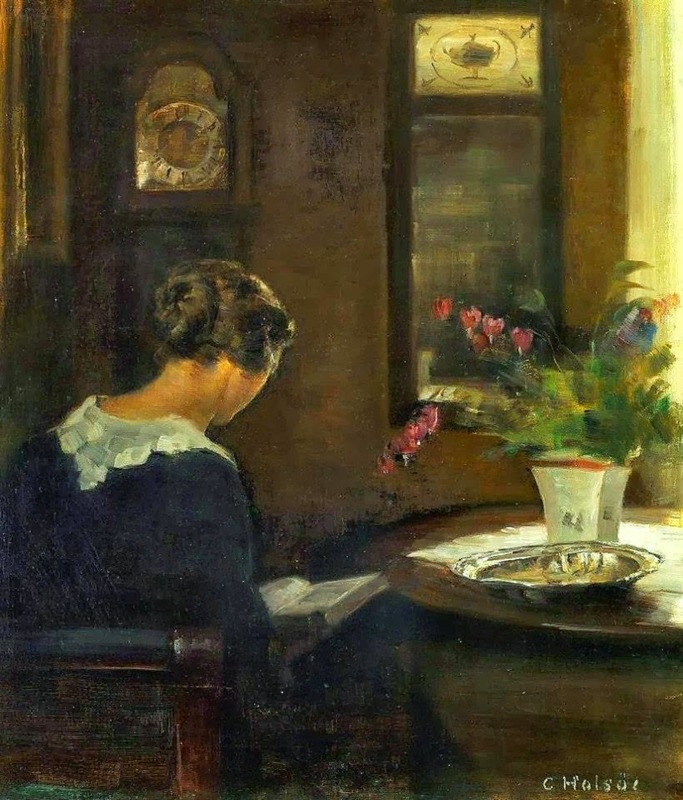 Carl Holsoe became a member of the board of the academy and Kunstforeningen. 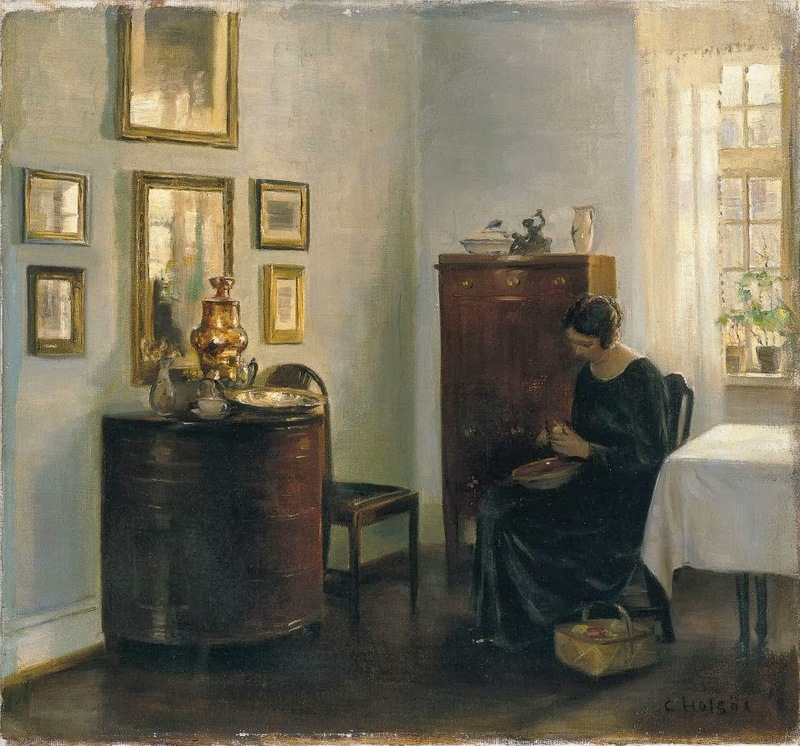 He exhibited for many years at Charlottenborg but also widely in Denmark, e.g. 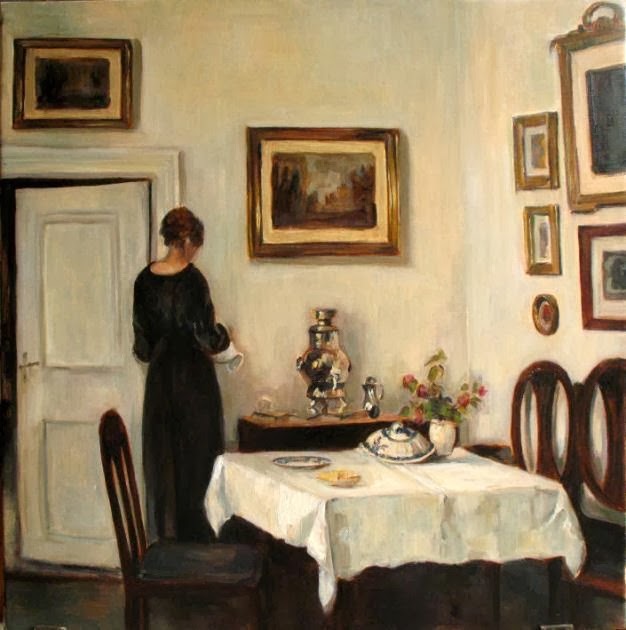 in Moderne dansk Kunst, Kunstnerforeningen, Foreningen for National Kunst and abroad at the world exhibition in Paris, and in Munich and London. 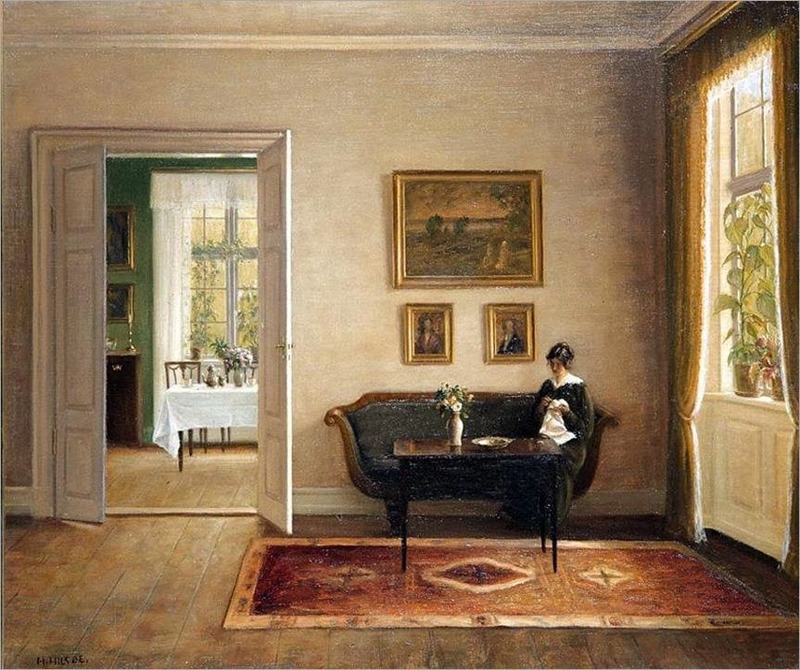 He became friends with Hammershoi and they mutually inspired and influenced each other. 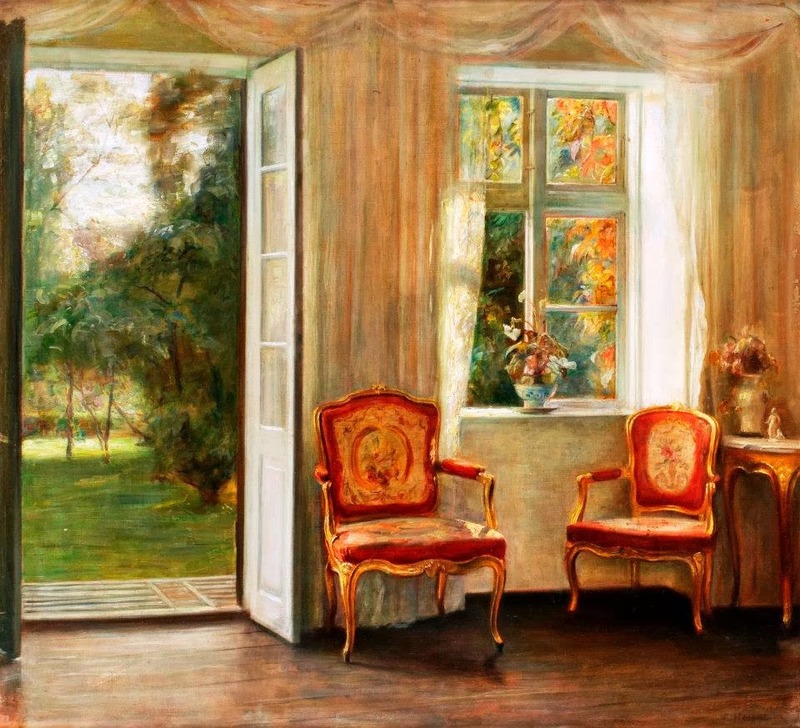 His pieces often deal with narratives involving the home as illustrated with this piece. 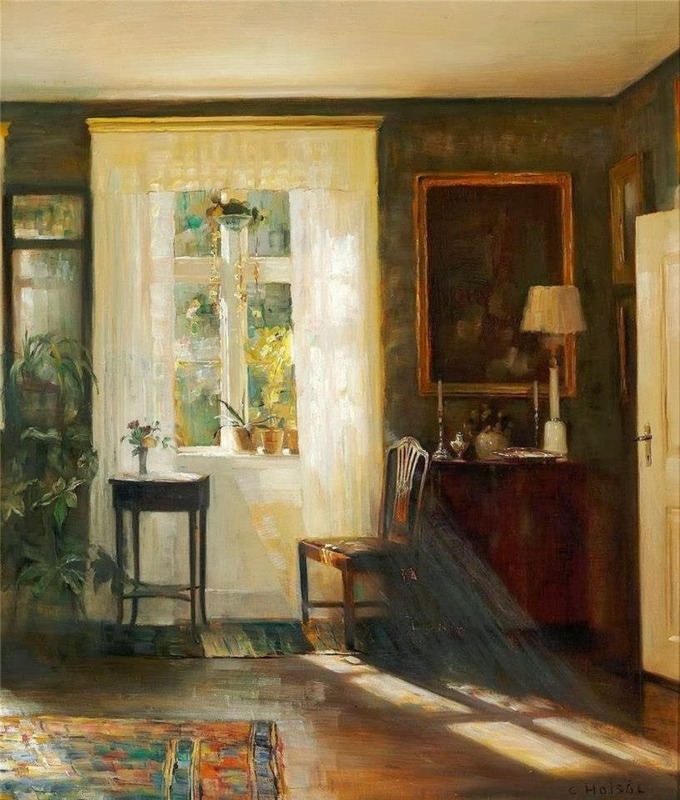 He often concentrated on interiors with a masterful technique that reflected the influence of the Dutch masters such as Vermeer. 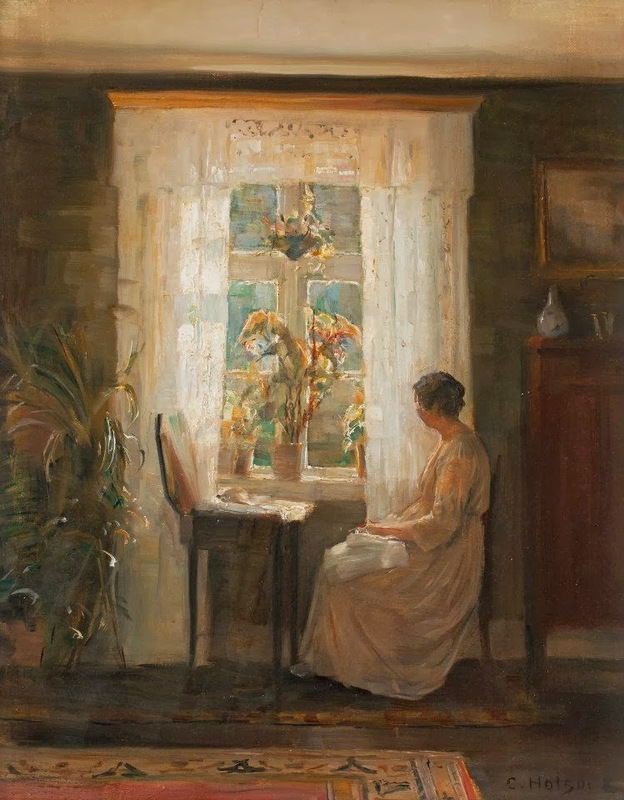 He also painted landscapes, still lives and flower paintings. 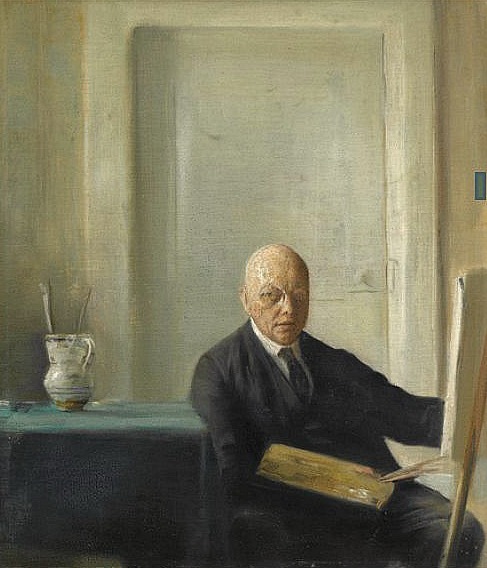 He is represented at Statens Museum for Kunst (the Danish National Gallery), Nationalmuseet (the National Museum), Fyn, Ribe, Bornholm, Aarhus, and Nordjylland's museum. 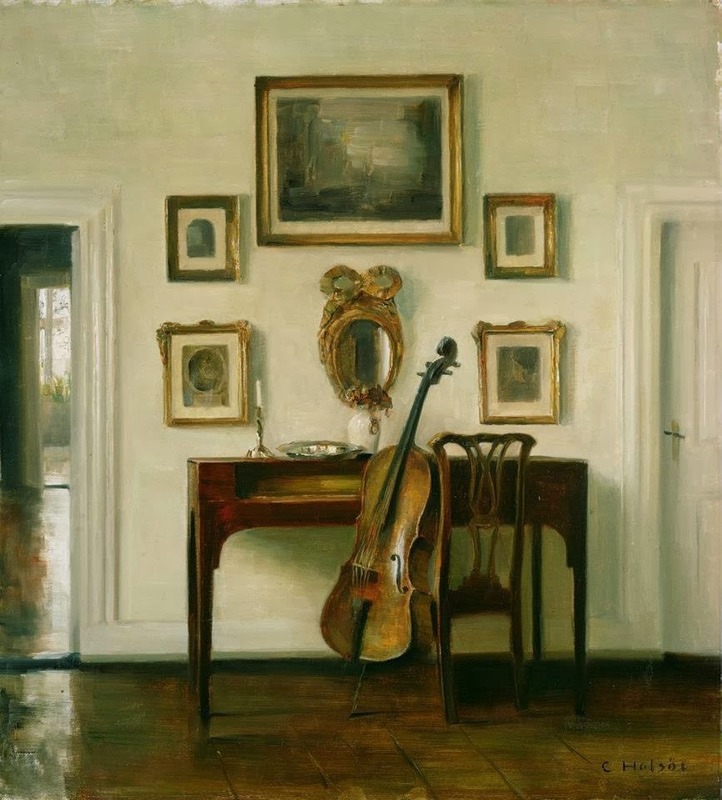 His work can be found in galleries and collections all over the world. 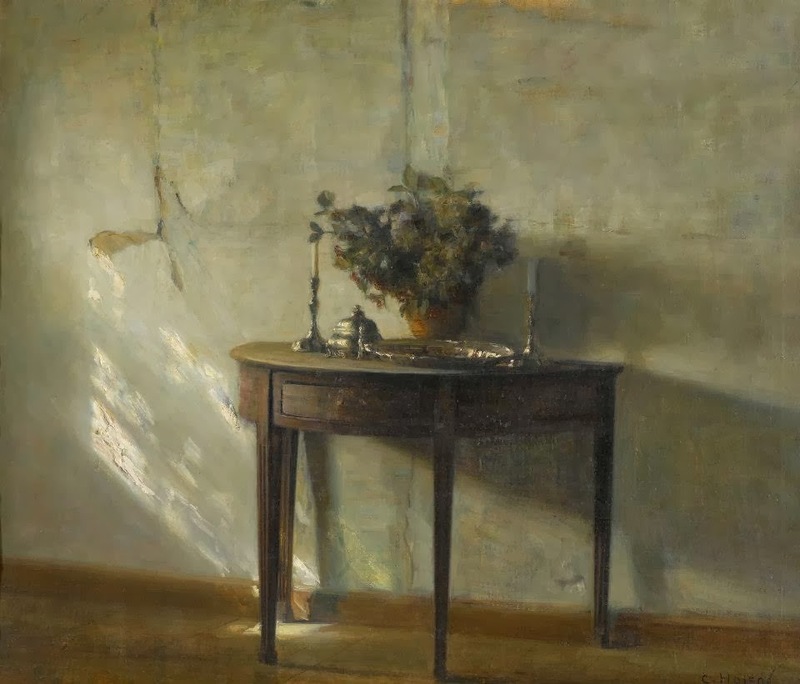 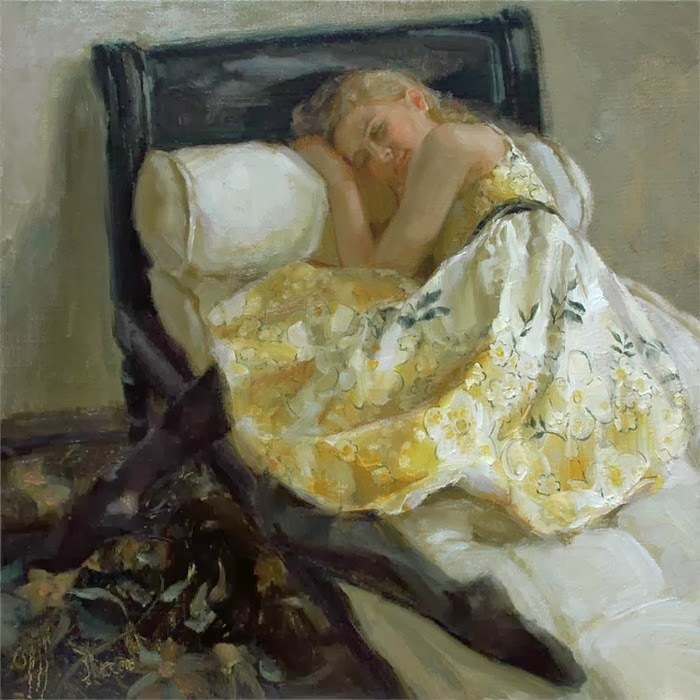 He is a well listed artists and his art has become highly collected and extremely valuable. 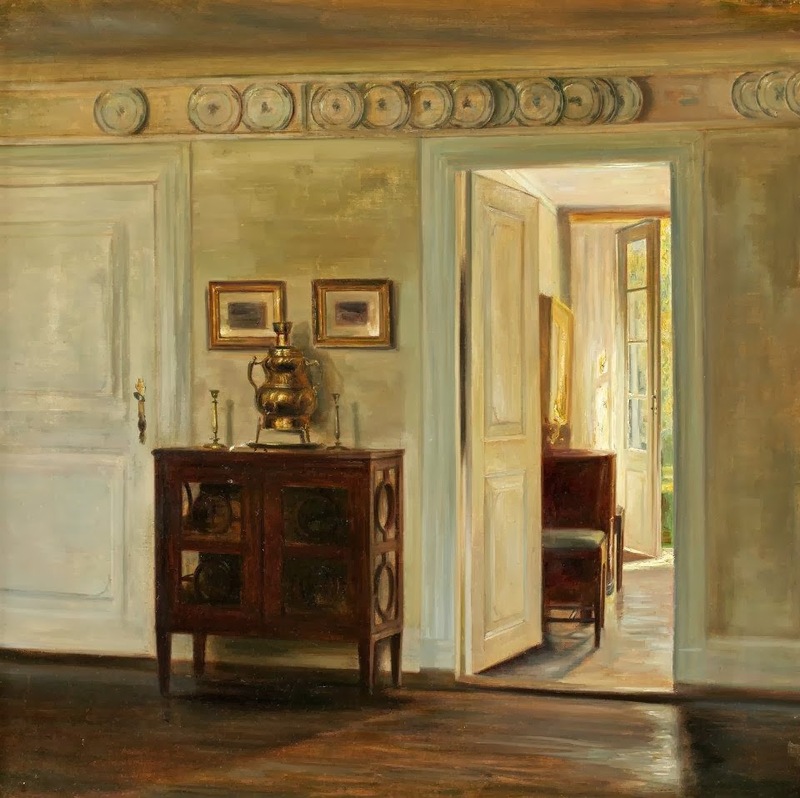 Carl Vilhelm Holsøe è nato in Danimarca nel 1863 ed è morto nel 1935, avendo da sempre ammirato la pittura d'interni di maestri del calibro di Vermeer, o di De Hooch. 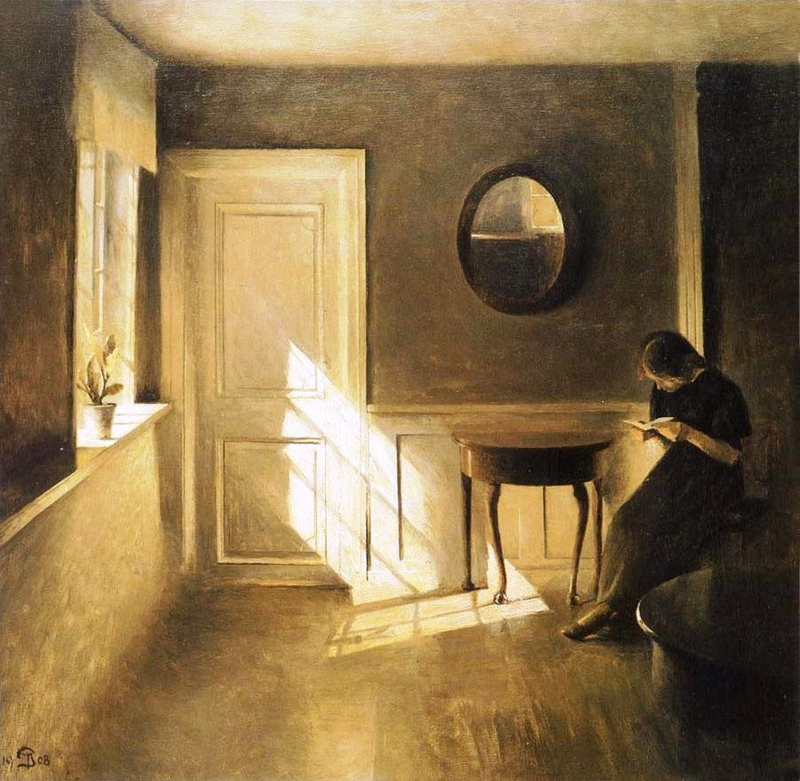 E' stato un pittore che si è formato alla Royal Academy di Copenhagen, con Vilhelm Hammershoi, suo grande amico, ha continuato la sua formazione nella scuola di Peder Severin Kryer. 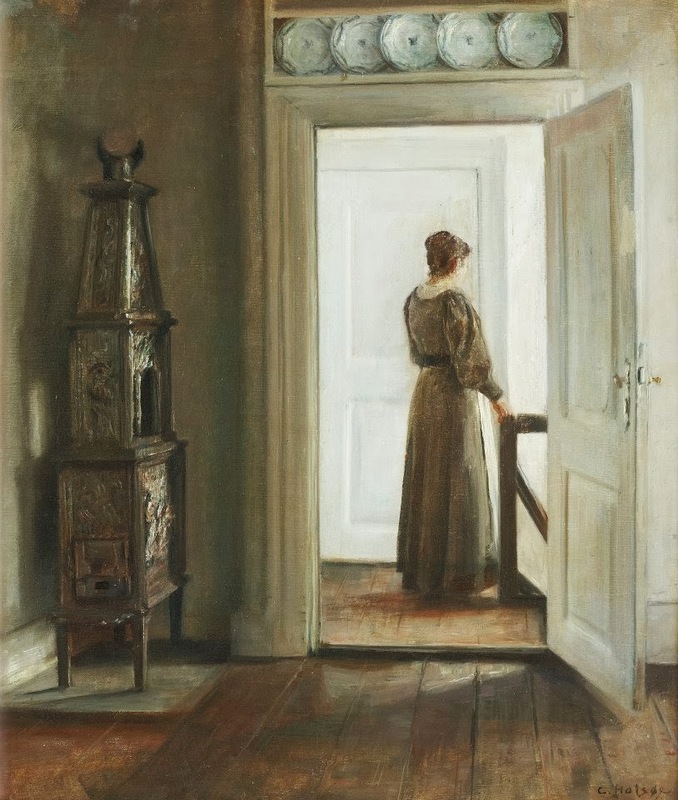 Aveva in comune con l'amico Vilhem Hammershoi, e Peder Illsted, lo studio della luce e delle ombre, ne studiavano gli effetti sulle superfici all'interno di un ambiente, tanto che formarono la Scuola Danese di Interior Painting. 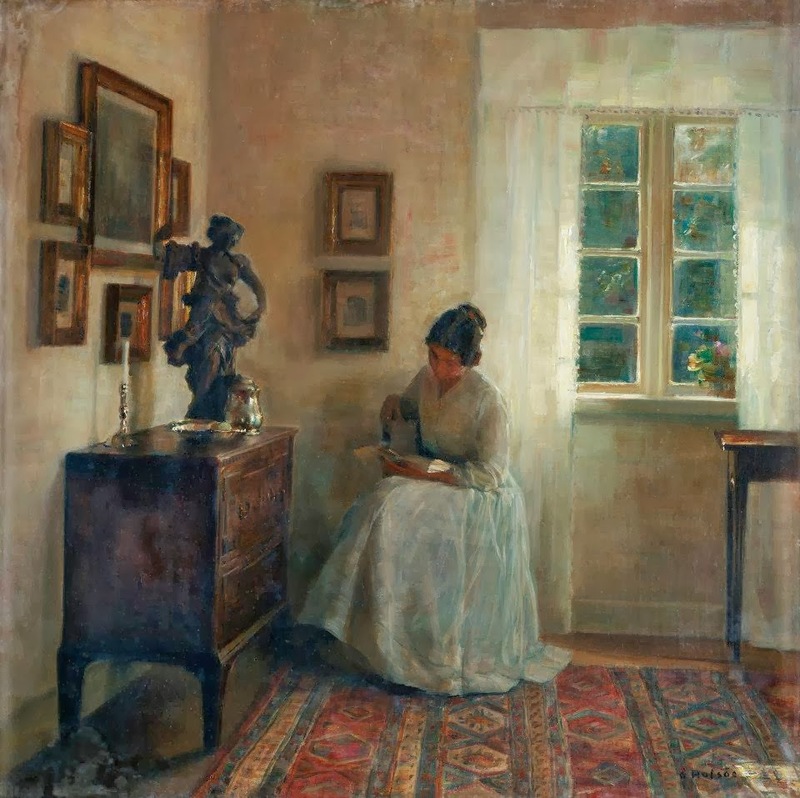 Ha ricevuto sia dai colleghi, che dalla critica notevoli riconoscimenti, diventando un esponente di spicco, anche grazie alle notevoli borse di studio ricevute dall'Accademia, che gli hanno consentito di esporre le proprie opere in Danimarca e all'estero.